Finding a plumber can be difficult. 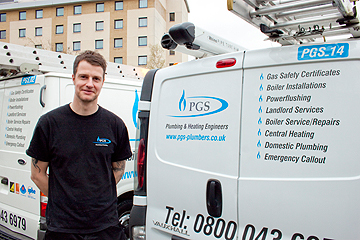 Residents in Twickenham need a reliable and trustworthy plumber that they can rely on time and time again and this is where PGS Twickenham plumbers come in. Our Twickenham plumbers are based in the local area and are able to tend to all plumbing and heating jobs rapidly. Our team of elite plumbing and heating engineers take pride in the work they complete, specialising in all general plumbing work, repairs and installation of boilers and a vast range of landlord services to name the least. We take on all domestic plumbing and heating jobs no matter the size. All PGS Plumbers and Heating engineers are fully Gas Safe registered. The Gas Safe register is a government approved list of qualified and safety-trained engineers who are legally allowed to work on Gas appliances. This means that our engineers are fully up to date and practise the latest in gas safety regulations. Our Twickenham based plumbers are available for emergency call outs, making sure PGS Plumbers come to rescue your plumbing or gas related emergency.